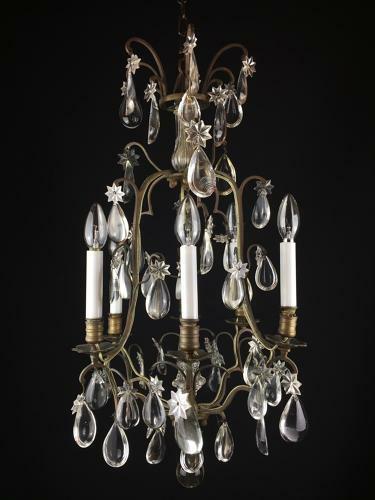 An attractive, small six arm, French 19th century bronze chandelier. In the form of a cage with a central large hand cut finial, which can be electrified internally. Hung with cut glass half pebble drops and stars. Circa 1840.